Report - How Millennials Are Changing the Art World? Today’s young collectors (under the age of 40) are a diverse group with varied tastes and priorities. Nevertheless, there are some general trends and tendencies that characterize their engagement with the art world and differentiate them from previous generations of collectors. This report will cover multiple facets of millennials’ involvement in the art world. It will discuss who these young collectors are, both in general terms and through individual profiles of several dozen prominent collectors. It will then explore millennials’ motivations for collecting art and their preferences for viewing, consuming, and purchasing art. Finally, it will consider which genres and artists have gained the most popularity among younger collectors with the intent to uncover any key trends. Young art collectors comprise around a quarter of all collectors: a 2018 article from insurance company AXA estimated that 15-25% of collectors are young, while the 2018 S. Trust Insights on Wealth and Worth study found that 27% of its respondents were millennials. Young collectors remain primarily driven by personal enjoyment of art, an appreciation for aesthetics, and a desire for self-expression. They often see their collections as a way to communicate their personalities and enhance their personal brands (Northern Trust). Millennials are, however, more likely than other generations to see art as a financial asset and as part of a comprehensive wealth-building strategy. 33% of millennial collectors agreed with the statement that art is “an asset that can be leveraged to build wealth” vs. only 16% of collectors overall (2018 S. Trust Insights on Wealth and Worth). Many young collectors inherit a love of art from their families, and often expect to inherit art collections as well. 87% of established art collectors intend to pass their collection on to their heirs, and roughly one third of these heirs say that they have become active art collectors themselves (2017 UBS Investor Watch). Millennials demonstrate a strong preference for contemporary art. Over 90% of young collectors are interested in contemporary pieces (2014 AXA Art Survey). 97% of U.S. millennial collectors said that they were either very or somewhat likely to purchase at least one work of art in the next year, versus 78% of collectors overall. (2018 S. Trust Insights on Wealth and Worth). 85% of millennials said they were very or somewhat likely to sell in the next year, versus 41% of Gen X collectors and only 24% of Boomers (2018 S. Trust Insights on Wealth and Worth). 78% of U.S. millennial collectors acquired art online in the last year, versus 40% of collectors from all age groups. Overall, there has been significant growth in the online art market, largely driven by young people. (2018 S. Trust Insights on Wealth and Worth). Millennials are more likely than other age groups to discover and purchase art online. A survey of U.S. collectors indicated that 44% of younger millennials and 34% of older millennials find new art and artists via platforms like Instagram and Pinterest (2016 Invaluable survey). 57% of younger U.S. millennials and 52% of older U.S. millennials say that they are open to purchasing art online. In contrast, only 19% of Baby Boomers said the same (2016 Invaluable survey). WHO ARE TODAY’S YOUNG ART ENTHUSIASTS? For the purposes of this report, a young collector is defined as someone who is under age 40. Most of the collectors discussed and featured below belong to the millennial generation and were born between 1980 and 2000. Majority of respondents were middle-aged (73% were 40-69 years old). 9% were 70 or older. 3% were 29 or younger. Overall, 16% of respondents were young/millennial collectors (under age 39). Millennials’ impact on the art and luxury goods market is steadily growing. A 2017 report by Bain & Company predicts that by 2025, millennial and generation Z consumers will account for 45% of the personal luxury goods market overall. This report highlights the need to appeal to a “millennial state of mind” rather than simply to millennials themselves. Young people’s tastes and preferences influence those of other generations; millennial attitudes and preferences thus extend to other generations as well. Millennials who develop a deep fascination with art often start their collections early, as young as their teenage years. Michael Xufu Huang and Tiffany Zabludowicz are two such examples, who both began collecting at age sixteen. Young collectors are an international group. Prominent collectors hail from across the globe: the United States, Mexico, Germany, China, the Philippines, Malaysia, and elsewhere. In general, the United States, China, and the United Kingdom are the largest participants in the contemporary art market. Generally speaking, millennial collectors have less money than older generations. Many collectors get started by purchasing less expensive pieces, often valued at $5000 or under, and gradually expanding their collections over time. Veteran art collector Sylvain Levy notes that in his experience, active younger collectors tend to have budgets of around $10,000. 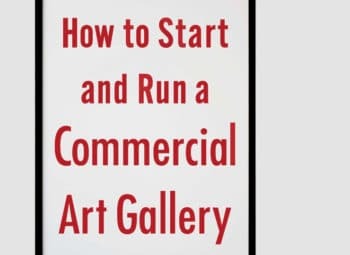 Art collector and adviser Nilani Trent notes that in today’s art market, however, it can be difficult to acquire work even by early-career artists for less than $50,000 (Beard, Artsy). The cost of building an art collection is thus a firm barrier to the majority of millennials. Millennials are significantly more likely than previous generations to collect with financial considerations in mind. Beard connects the cultural and social context in which millennials were raised with their collecting habits: “we collect like capitalists.” In other words, millennials are more likely than Generation X and Baby Boomers to sell works from their collections and to cite financial motivations for collecting art. Younger collectors tend to be active networkers, both on- and off-line. They prefer gaining early and direct access to works, sometimes even arranging to see a piece while it is still in the studio. In an interview with artnet News, Kenneth Schlenker noted that this propensity distinguishes millennial collectors from older generations. According to him, older collectors might hire an adviser, work closely with only one or two galleries, or read Artforum to make decisions about which pieces to acquire. Younger collectors, on the other hand, aided by new technology that makes communication easier than ever, forge connections with a broader array of artists and galleries. They seek more personal, less mediated access to art. Many millennials have inherited or expect to inherit family art collections. According to a 2017 survey (UBS Investor Watch), 87% of collectors plan to pass their collection on to their heirs. Heirs are generally honored to be given the collection (90%) and plan to keep it (81%). Around 34% of heirs who expect to inherit collections say that they have become active collectors too. WHY DO MILLENNIALS COLLECT ART? Young collectors value their art for a wide range of reasons. The bottom line: Art collecting as an investment or financial strategy is growing in popularity, particularly among young collectors. However, love of art, appreciation of beauty, and a desire for personal fulfillment remain the top motivators for millennial collectors. According to the 2017 UBS survey, 71% of collectors interviewed (not broken down by age group) reported that they enjoy art for its beauty and aesthetic value. The 2018 U.S. Trust Insights on Wealth and Worth study indicates that 41% of its millennial respondents cited “aesthetic value” as a reason to collect art. This number is significantly lower than that of all respondents (62%), but it is still the top reason selected by millennials. This enjoyment of beauty is evident in the many young collectors whose artworks decorate their homes and offices (for example, Matthew Chevallard, Beau Dunn, Jessica Bennett, and George Merck). 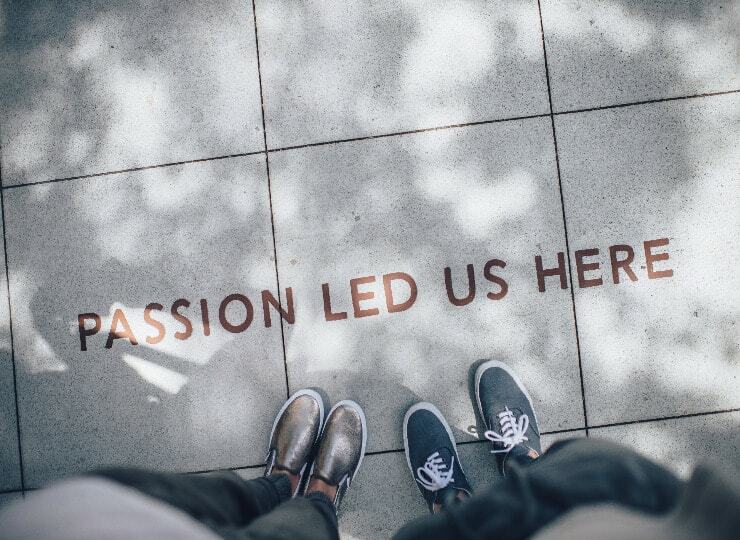 The UBS survey reports that 54% of surveyed collectors (of all age groups) claim that art is a personal passion. Moreover, 2/3 of collectors surveyed indicated that they have not sold any of their works, again indicating that they collect more for personal enjoyment than profit potential. As noted above, many young art collectors develop an interest in art thanks to their parents. According to the 2018 U.S. Trust survey, 34% of millennials agreed that they collect art because “art appreciation is a family value.” Moreover, a significant number of young collectors expect to receive art as an inheritance, and around a third of them see themselves as active collectors in their own right (2017 UBS Investor Watch). Many millennials enjoy the thrill of encountering new work from up-and-coming young artists, and they like to support these artists’ work. Over a third of high net worth American millennials collect art because they “enjoy being part of the art world” (2018 U.S. Trust Insights on Wealth and Worth). Michael Xufu Huang, for example, has spoken about his love of discovering exciting work from a new or underappreciated artist and his desire to promote emerging talent. Collector Kylie Ying told Larry’s List that it is “very important” for her to meet and speak with artists personally before purchasing their work. Moisés Cosio told Larry’s List that his chief motivation for collecting lies in “supporting artists and thus to let them keep thinking and producing.” Similarly, young collector Sarah Arison told Evan Beard of Artsy that she enjoys supporting the careers of young and emerging artists. In purchasing artwork, millennial collectors tend to forge personal connections and friendships with artists. Social media makes it easier than ever to remain in touch and maintain these relationships. Younger collectors are more likely to engage in art flipping, to buy and sell pieces with fairly short turnaround, instead of buying them with the intention to keep forever. A 2016 NPR article notes millennials’ inclination for art flipping. Millennial and Generation X collectors are more likely to sell pieces from their collections, while older collectors generally prefer to keep pieces permanently. This proclivity is often disparaged, but views on selling art may gradually begin changing. According to collector Noah Traisman, interviewed by artnet News, he buys and sells art with an eye to acquiring new pieces for his collection. The profit he makes from flipping is reinvested in his art collection. Thus art flipping does not necessarily indicate a pure profit motive; rather, it can be a way for millennials with more limited budgets to build a large, high-quality collection. Yet for 35% of millennial collectors surveyed the 2018 U.S. Trust Insights on Wealth and Worth study, art is “an asset I plan to sell for a quick profit.” In contrast, only 13% of collectors (of all ages) agree with this statement. In sum: millennials are about twice as likely as other generations to see the financial benefits of collecting, but the majority of millennial collectors are not primarily motivated by profit. The U.S. Trust study indicates that collectors under age 50 are more likely to view art in terms of its commercial value. Younger collectors are more prone to considering the value of specific work and the art market in general before purchasing. In its 2014 survey, insurance company AXA distinguishes between three basic kinds of collectors: aficionados, traditionalists, and investors. According to AXA, this third category has emerged quite recently. “Investors” are more likely to purchase art online and to use the services of an art consultant. Nilani Trent, an art adviser and collector, told NPR that being aware of an artwork’s value is simply good sense—especially if the collector is planning to spend a significant amount of money on it. She describes how her work as an art adviser has evolved over the years; conversations with clients increasingly center on the market, rather than simply on the aesthetics of a certain piece. WHERE DO MILLENNIALS PREFER TO VIEW AND ACQUIRE ART? Millennials interact with the art world in a variety of spaces, both new and traditional. Institutions such as museums remain important for viewing and appreciating art, though they have needed to adapt to the demands of younger generations. Many young collectors continue to enjoy forming relationships with art galleries—often maintaining these relationships online through social media. They also generally continue to enjoy the energy and networking opportunities of art fairs. Overall, however, the greatest area of change driven by young people is growing popularity of social media and online commerce. Millennials increasingly use social media to connect with artists and discover new art. They are generally more comfortable with purchasing art online than older generations. New online platforms have emerged, and numerous traditional brick-and-mortar institutions have cultivated an online presence to appeal to millennials. 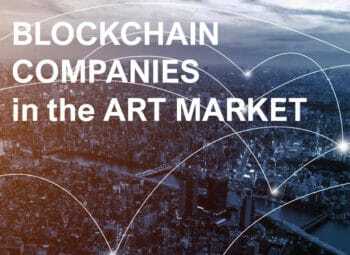 In the next few decades, it seems likely that online commerce will continue to grow and facilitate a more interconnected art world. New technology has led to growth in online auction houses, mobile apps, and other hubs of online commerce, such as Artsy, artnet, and Paddle8. More traditional art markets have joined Instagram to connect better with young collectors. Christie’s LIVE and Sotheby’s BIDnow represent moves by these two major houses to court new, often younger buyers by hosting some sales online. Among U.S. millennials, online platforms are very popular. Well over half report that they are willing to purchase art online, versus only 19% of Baby Boomers. Roughly a quarter of younger millennials (age 18-24) not only are willing to purchase online but in fact prefer it (Invaluable, 2016). Social media facilitates connections between collectors, galleries, and artists. Young collectors often add the artist and/or gallerist on Instagram and Facebook. Instagram in particular has emerged as a thriving part of the current art market and community, likely due to its emphasis on images. Many collectors, especially millennials, purchase art online. 5% of respondents have bought work by artists whom they initially found on Instagram. 31% have bought specific artworks they discovered on Instagram. 55% collect emerging art, while 45% focus on contemporary art. Respondents are frequent users of Instagram: 87% check it more than twice per day. 55% post on it themselves multiple times per week. 73% say that Instagram makes the art market more transparent. 52% think the app encourages art flipping. The survey participants generally found that social media makes it easy to find new artists to follow—they might start with a core group of artists they already know and love, see who else is posting and interacting with them, and then see which other artists they like. The app is useful for noticing trends, building networks, learning about emerging talent, and receiving social validation before committing to acquire a piece. Other major pros of the app include greater accessibility to art and the ability for emerging artists to market their work for free. Survey respondents also had the chance to recommend their favorite Instagram accounts to follow. These accounts include: @albertomugrabi, @anitazart, @artnewsafrica, @burning_in_water_art, @fashen, @littlebrownmushroom, @hyperallergic, @karenrobinovitz, @lindqvistcontemporary, @philophilia, @worthartadvisory, and @yvonneforce. A more complete list can be found in Elena Soboleva’s report on Gallery Insights. Despite the growing popularity of online commerce, millennials still buy offline too. Many young collectors like to see work in person before committing to buy it. Michael Xufu Huang, quoted in CNN Style, mentions that he relies more on Instagram than on traditional auction catalogues to get a sense of what is available. Yet, as he explained to artnet News, he does not make purchases through Instagram. 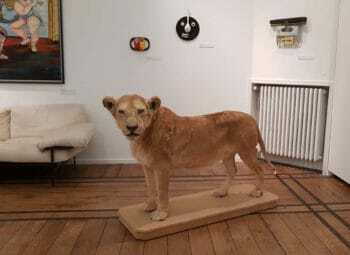 Rather, he uses social media to stay in touch with artists and other members of the art world, as well as to promote his museum M Woods, and continues to purchase through more traditional avenues. Finally, platforms such as Patreon and Kickstarter offer new opportunities for creatives to seek funding. Some collectors find and reach out to artists on these platforms and support their work that way. Online resources provide new opportunities for artists to promote their work and find interested buyers. 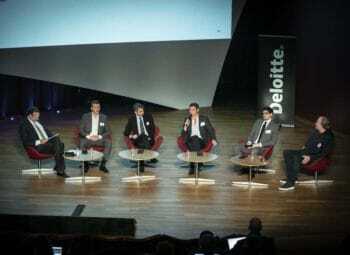 However, they face the challenge of standing out in an increasingly crowded online landscape. On a day-to-day basis, most young art enthusiasts are likely to spend more time scrolling through art-related Instagram feeds to discover new and emerging artists than visiting museums. Nevertheless, museums remain important cultural institutions that offer in-person art viewing, as well as a range of programs targeting a millennial audience. Numerous museums have shifted to creating experiential, immersive exhibits. For example, in collaboration with ad agency Leo Burnett and Airbnb, the Art Institute of Chicago recreated Vincent Van Gogh’s bedroom and rented it out on Airbnb in 2016. This campaign boosted visitor numbers to the Institute’s Van Gogh exhibit, which attracted more than 15,000 visitors during its first three days. 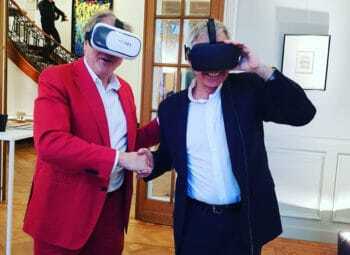 Along similar lines, experienced collectors Sylvain and Dominque Levy and their daughter Karen have developed their DSL Collection into a private virtual reality museum. As they write, “Born into a screen-based world, today’s new generation move in and out of the physical and virtual worlds at ease, believing that each world is ‘real’ to them” (materials provided by Sylvain Levy). The Levy family hopes to use technology to bring art appreciation to a wider audience, making their vast collection accessible worldwide thanks to virtual reality. Finally, museums are increasingly (if sometimes grudgingly) recognizing the appeal of “Instagrammable” exhibits for millennials. The 2015 exhibit Wonder at the Smithsonian’s Renwick Gallery is one prominent example. Works by nine contemporary artists stood not only as thought-provoking creative expressions but also as compelling and visually appealing photographic backgrounds, ideal for Instagram. Gabriel Dawe’s Plexus A1, for instance, a vibrant rainbow intricately crafted from thread, seems tailormade for the platform. Wonder successfully appealed to millennials’ love of photogenic spectacle. Immersive, visually stunning exhibits such as Wonder capture attention on social media and successfully bring thousands of millennials, even those without a strong interest in or knowledge of art, through the door. Other notable exhibitions and installations include: The Rain Room (debuted in London’s Barbican Center, then appeared at MoMA in New York, LACMA, and elsewhere); and the work of Yayoi Kusama, particularly her Infinity Mirrored Rooms. Research indicates that young people tend to value experiences more highly than “things,” and these kinds of experiential installations tap into that preference by allowing the visitor to “experience” art and even become a part of it (via starring in an Instagram photo with the art as a backdrop). In addition to crafting immersive and Instagram-friendly art experiences, museums can simply use social media to advertise and reach out to young people. Moreover, museums often function as social hubs for likeminded young collectors, allowing them to meet face-to-face, exchange advice, and learn more about art. Many museums maintain programs specifically tailored for young collectors. These programs host a range of events, including exhibition talks and tours, studio visits, art weekend getaways, visits to galleries, tours of private collections, and social events. There are well over a dozen of such groups in New York City alone. Guggenheim Young Collectors Council, Chaired by Noreen Ahmad, Alexandra Economou, Anne Huntington, and Tiffany Zabludowicz. Artists Council and Whitney Contemporaries at the Whitney Museum of American Art, Artists Council guided by Associate Curator Jane Panetta. Young Art Patrons Affiliate Group at the Columbus Museum. Second, the Columbus Museum YAPs are involved in commissioning contemporary artists to create site-specific pieces for the museum. Most recently, artist Jarrett Key has been commissioned to do a “performance-based painting” in August 2018. In Ms. Overton’s words, “using his own hair, Key will paint in front of a live audience using an original soundscape that he creates. The Museum will acquire the work created during the performance.” Previously, pieces and performances were commissioned from artists Linn Meyers and Jonathan Van Dyke. These kinds of programs and events invite younger people into the art world, often by supplying immersive experiences for them to enjoy, whether networking events or performances. Younger collectors are typically proactive about networking and connecting with artists and often seek to gain access to new pieces while they’re still in the studio, even before they are displayed at galleries or fairs. Again, social media remains important here. Young people tend to connect with artists on Facebook or Instagram and use their social connections to gain insider access to studios. In addition, museums’ young collector programs often organize private visits to artist studios. On the other hand, some young collectors have reservations about the art fair atmosphere. Joseph Kouli, for instance, says that “an art fair is the worst place to look at art – too many people, too little space” (Arterritory). Although he attends European art fairs, he prefers to spend time researching artists in-depth before deciding to buy, rather than making impulse decisions at fairs. Several art fairs market directly to a younger collector market. Young Collectors Contemporary, for instance, aims to connect emerging artists with new young collectors. 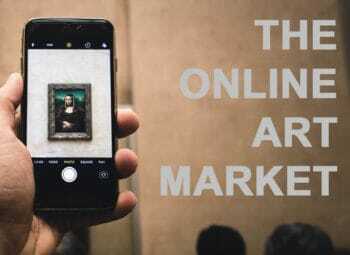 Although more and more commerce takes place online, many art collectors continue to frequent galleries, often so that they can see pieces in person before committing to purchase. Tara Downs, director of Tomorrow Gallery, told artnet News that roughly half of her sales still happen in person, rather than online. Despite the rise of online marketplaces, face-to-face interaction remains important. Instagram users would rather follow the account of a human individual (especially the gallery owner) rather than a more official gallery account. Around 45% of survey respondents said they would most like to follow gallery owner accounts, compared to the 30% who said they preferred to follow gallery accounts. Gallery owners should therefore consider maintaining active personal accounts alongside the more official gallery account. #Hashtags come in handy: Collectors very commonly search by hashtag for a particular artist’s work. Artist hashtags make it extremely easy for collectors and prospective buyers to sift through images and find what they want. Instagram users most want to see the following content from galleries: 35% of survey respondents enjoy glimpses behind-the-scenes (e.g. studio visits, set-up of new installations); 32% of respondents most enjoy seeing new inventory. The two above categories constitute what the majority of Instagram-using collectors want to find on gallery and gallery owner feeds. Other categories such as announcements and art fair coverage ranked much lower. Auction houses remain an important fixture of the Chinese art world. According to an art market report by Art Basel and UBS, auction houses and auction sales account for almost 70% of the Chinese art market. CNN Style notes that auctions provide a comfortable and accessible environment for many new and inexperienced collectors, since specialists have examined each piece and estimated its value. Inexperienced collectors do not have to guess a piece’s value or perform extensive independent research. Many younger Chinese collectors are, however, aware of negative media portrayals of their extravagant spending habits and therefore prefer discreet private sales from major players like Sotheby’s, Christie’s, or Poly Auction (Hong Kong). Sotheby’s, for instance, experienced a strong increase in revenue from private sales in 2017, with much of this increase coming from Asian buyers. WHAT KIND OF ART DO MILLENNIALS COLLECT? 94% of young collectors acquire contemporary art. 30% collect modern and impressionist art. Overall, contemporary art was the most popular category among respondents regardless of age, though the penchant for contemporary was strongest among young people. As Sotheby’s Europe chair Oliver Barker told the New York Times, “Young collectors want to buy the art of their time,” hence their attraction to emerging contemporary pieces that capture the zeitgeist of the moment. Millennials often collect lesser-known artists and unusual materials and media, rather than exclusively collecting more traditional pieces like paintings. They tend to focus less on the traditional canon and are also more willing to take risks. Many young collectors have state that they enjoy feeling a personal connection to art and choose to acquire pieces that “speak” to them, regardless of market value. According to CNN, artistic preferences in China have undergone similar shifts. Previously, wealthy Chinese art collectors focused on big-ticket items made by household names such as Picasso, Warhol, or Modigliani. The new generation of Chinese collectors casts a wider net and is generally interested in acquiring Chinese and Asian art in addition to Western art. Moreover, they are more open to emerging artists. “Average” young collectors seek out work with which they feel a strong personal or emotional connection, and they most often find these connections with emerging contemporary art—which is typically more accessible for collectors with modest budgets. In addition, young and emerging artists are often happy to interact with young collectors. These collectors’ love of emerging contemporary brings them into a dynamic, experimental art world in which they form strong connections with the art and forge friendships with artists. “12 Young Art Collectors to Watch in 2016” artnet News. 11 February 2016. Accessed 30 June 2018. “2018 Insights on Wealth and Worth” U.S. Trust. “Amar’e Stoudemire Introduces: In the Paint” Sotheby’s. 5 April 2018. Accessed 4 July 2018. “American Attitudes toward Art” Invaluable. March 2016. Accessed 4 July 2018. 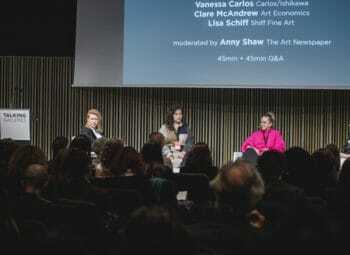 “Are Young Art Collectors Reinventing the Market?” AXA. 6 March 2018. Accessed 30 June 2018. “Art Collectors: The Next Generation” Northern Trust. Accessed 3 July 2018. “The Art Market in a World of Millennials” Artwork Archive. Accessed 4 July 2018. Beard, Evan. “The Rapid Rise of Millennial Collectors Will Change How Art is Bought and Sold.” Artsy. 20 July 2018. Accessed 25 July 2018. Berggruen, Alexander (Christie’s, Post-War and Contemporary Art). June 2018. Blair, Elizabeth. “For Many Art Dealers, ‘Selling’ Is a Dirty Word (But Not For Young Collectors).” NPR. 16 June 2016. Accessed 30 June 2018. Bouchara, Claire. “A Lady with a Fashion Sense and an Art Collection.” Larry’s List. Accessed 7 July 2018. Chu, Christie. “10 Surprising Habits of Millennial Art Collectors.” artnet News. 26 August 2015. Accessed 1 July 2018. “The Contemporary Art Market Report 2017.” Artprice. Accessed 11 July 2018. D’Angelo, Madelaine. “Young Collectors: Who Are They and Where Are They Buying Art?” Huffington Post. 31 January 2017. Accessed 30 June 2018. D’Arpizio, Claudia. “Global Personal Luxury Goods Market Expected to Grow.” Bain & Company. 29 May 2017. Accessed 2 July 2018. Donoghue, Katy. “Curator Roya Sachs on Cultivating Emotional Reactions.” Whitewall. 9 May 2018. Accessed 8 July 2018. Ferreira, Camila. “New York’s 19 Most Exclusive Young Patron Groups in the Art World.” Art Zealous. 20 June 2016. Accessed 4 July 2018. “For the Love of Art.” UBS Investor Watch. 2017. Giles, Oliver. “The New Generation of Chinese Art Collectors Shaking Up the Art World.” CNN Style. 6 October 2017. Accessed 1 July 2018. “Jonathan Van Dyke: The Patient Eye (On View through October 14, 2018, Leeburn Gallery).” The Columbus Museum. Accessed 20 July 2018. Jovanovic, Rozalia. “Chic Young Chinese Collector Michael Xufu Huang on the New Meaning of Luxury.” Jing Daily. 19 September 2017. Accessed 2 July 2018. Levy, Sylvain (Art Collector, DSL Collection). Interview. June 2018. “Linn Meyers: Gazing Has Its Limits (Wall Drawing on View until January 2019).” The Columbus Museum. Accessed 20 July 2018. Loos, Ted. “Auction Houses Find New Ways to Survive.” New York Times. 12 October 2017. Accessed 4 July 2018. “A Young Collector Continues the Family Tradition in SoHo.” New York Times. 8 March 2018. Accessed 4 July 2018. “Kai van Hasselt.” Apollo 40 under 40. 1 August 2014. Accessed 10 July 2018. Overton, Carmen (Director of Development, The Columbus Museum). Interview. July 2018. Martinez, Nicole. “Miami Art Week Sellers Make Buying Easier for Young Collectors.” Miami New Times. 29 November 2016. Martinez, Ricardo. “Young Art Collectors Versus Experienced Ones.” Widewalls. 27 December 2015. Accessed 8 July 2018. McAndrew, Clare. 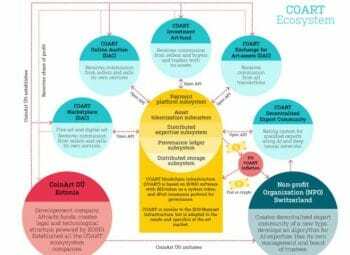 “The Art Market 2018.” Art Basel and UBS. Accessed 30 June 2018. “Mexico’s Bright Collecting Future.” Larry’s List. Accessed 8 July 2018. Pardes, Arielle. “Selfie Factories: The Rise of the Made-for-Instagram Museum.” Wired. 27 September 2017. Accessed 10 July 2018. Reyburn, Scott, Doreen Carvajal. 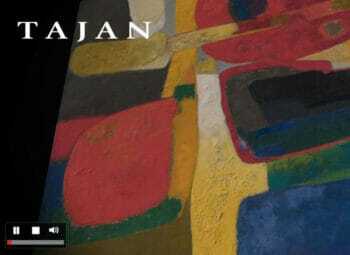 “Gaugain Painting Is Said to Fetch $300 Million.” New York Times. 5 February 2015. Accessed 8 July 2018. Rudzate, Daiga. “He Collects Stories: An Interview with Joseph Kouli, Art Collector.” Arterritory. 12 April 2018. Accessed 9 July 2018. Sagansky, Gillian. “Meet the 5 Young Women Who Will Make the Art World Go Round in 2018.” W Magazine. 27 November 2017. Accessed 7 July 2018. Shapiro, Bee. “Maria Baibakova Is Finding Her Place in the Art World.” New York Times. 24 July 2013. Accessed 3 July 2018. Soboleva, Elena. “7 Ways to Win Over Collectors on Instagram.” Gallery Insights (Artsy). 15 May 2015. Accessed 30 June 2018. “How Collectors Use Instagram to Buy Art.” Gallery Insights (Artsy). 19 April 2015. Accessed 30 June 2018. Solway, Diane. “New Kid on the Block.” W Magazine. 6 December 2013. Accessed 3 July 2018. 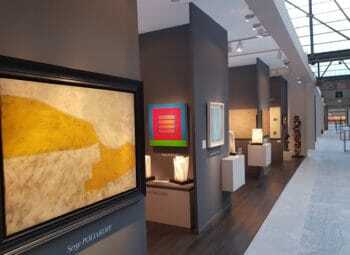 “Sotheby’s Is Educating Young Collectors on the Appreciation of Art.” Forbes Middle East. 30 July 2017. Accessed 2 July 2018. “Study: U.S. Millennials Prefer Instagram to Museums; Purchase and Discover Art Online.” Business Wire. 13 April 2016. Accessed 4 July 2018. Thompson, Helen. “The Collins Effect.” Helen Thompson In House. 16 February 2015. Accessed 26 July 2018. “Top 7 Young Art Collectors You Need to Be Friends With.” Public House of Art. 2 May 2016. Accessed 1 July 2018. “Top 10 Young Art Collectors.” Larry’s List. Accessed 30 June 2018. Velimirović, Andrey. “What Motivated Art Collectors in 2017? A Recent Study Reveals.” Widewalls. 21 December 2017. Accessed 4 July 2018. Wallace-Thompson, Anna. “The Tate Modern Expansion Caters to a Millennial Audience with Live Art and Social Spaces.” Artsy. 27 May 2016. Accessed 4 July 2018. “Wealth and Worth – Spotlight on Art Collecting.” U.S. Trust. 2017. Accessed 4 July 2018. Weiss, Zachary. “5 Young Collectors on Where They Shop for Art.” Observer. 20 March 2018. Accessed 1 July 2018. “What Is First Open?” Christie’s. 1 September 2015. Accessed 10 July 2018. Wohl, Jessica. “Want to Rent Van Gogh’s ‘Bedroom’?” AdAge. 7 April 2016. Accessed 10 July 2018. Wolfe, Shira. “10 Young Art Collectors You Should Know.” Artland. 15 February 2018. Accessed 30 June 2018. Wonder. 13 November 2015 – 10 July 2016. Smithsonian American Art Museum. Zhong, Fan. “Essex Street.” W Magazine. 25 March 2014. Accessed 1 July 2018.